This command﻿ adds some new mechanics, like compressing coal into diamonds, making gold with electrolysis, and mass producing iron. ₪ Electrolysis allows gold to be produced using a redstone current and some molten iron. ₪ Throw a block of iron into lava to obtain Molten Iron. ₪ Set up the structure by placing a coal block 1 block west of an air block, and a gold block 1 block east of an air block. ₪ Throw the molten iron between the coal and the gold to activate the structure. ₪ Place a redstone torch on the coal block to start the process. When the gold ore is produced, it will destroy the redstone torch and stop producing gold until you place another. ₪ Iron furnaces double the yield or iron produced and will smelt it instantly, however it requires a blaze rod and a lot of the coal to harvest. 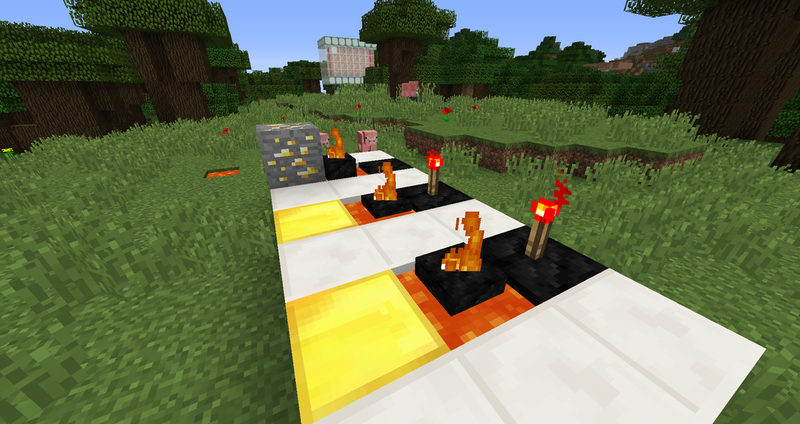 ₪ Name 8 iron blocks "Iron Furnace" and throw them on the ground to create the structure. ₪ Throw iron ore west of the structure to put it inside. ₪ To harvest, have coal in your inventory, and hold a blaze rod near it. ₪ Do not add more than 100 iron otherwise it is at risk of exploding. ₪ You can use lots of coal, and some TNT to obtain one diamond. 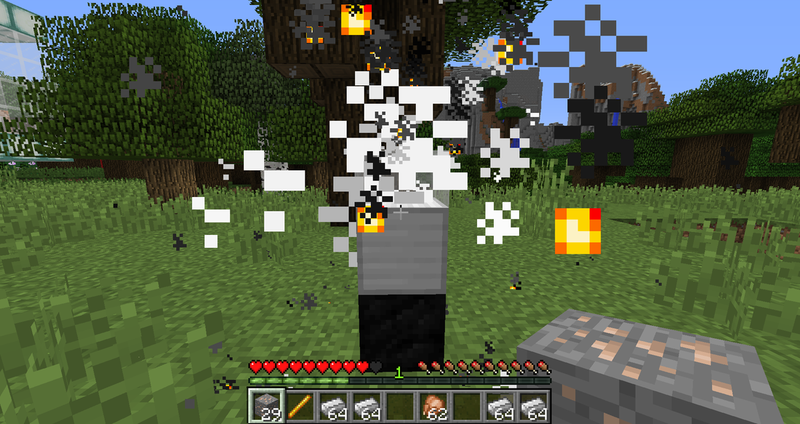 ₪ All coal blocks directly below the TNT will turn into diamond ore when the TNT detonates. Click here to find the command!